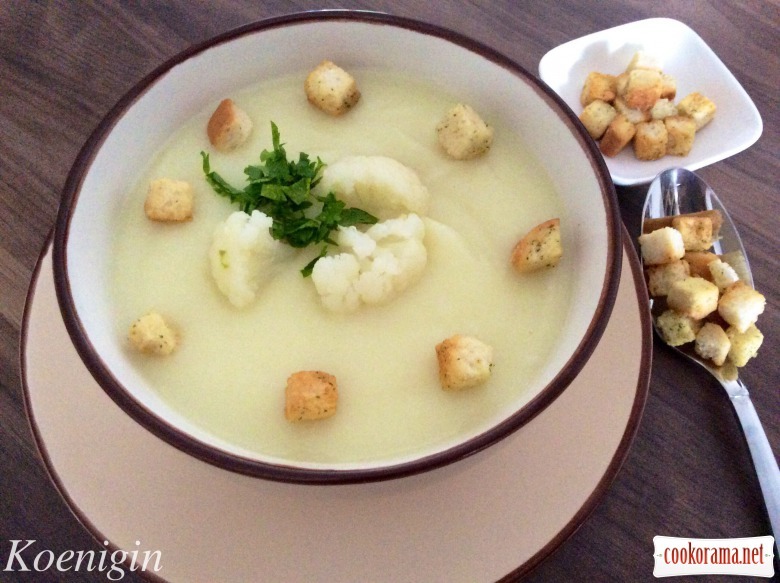 Light cream soup with pieces of cabbage and sweet creamy taste. Boil 2 l of water. Put in boiling water salt, bay leaf, onion, carrot and parsley root (whole, do not cut). Reduce heat and boil for 20 min. 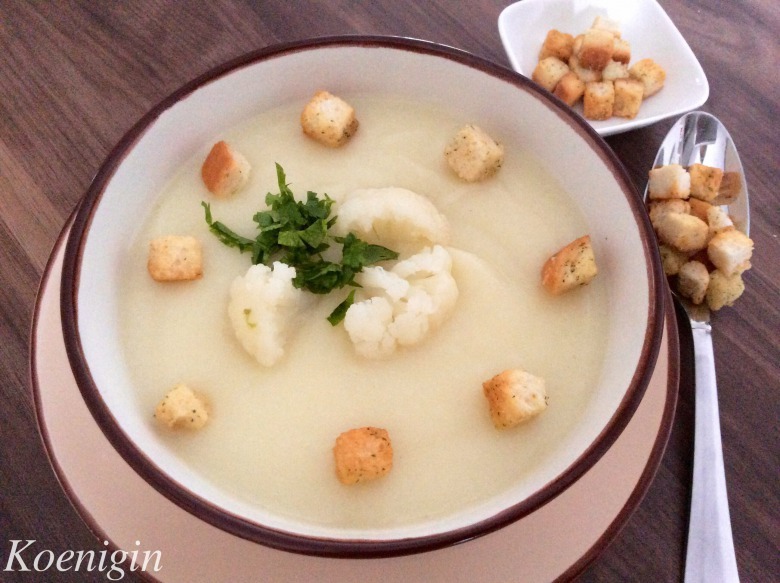 Cut cauliflower in few parts and put to vegetable broth. Boil over low heat till softness of cabbage for 15-20 min. Remove vegetables from broth. We do not need onion, carrot and parsley any more. Put 1/4 part of cauliflower aside, grind rest into puree. Put puree in the saucepan, pour heated cream and dilute with vegetable broth to desired consistency. (I used big cabbage cauliflower for 1 liter of broth). Add spices to taste, add rest of cauliflower, heat, stirring and cook over lowest heat for 5 min. Serve with greens and croutons. P.S. Soup is very tasty, but the second day not so good, so better prepare the amount that is needed at once. For young children, and more dietary meal better replace cream with milk. Top of recipe "Cream soup with cauliflower and cream"
Сьогодні на кукорамі — день неймовірно смачних супів-пюре! Дуже люблю суп-пюре із цвітної капусти!